MAYDAY PARADE – Ten years ago, a group of friends from Tallahassee, FL formed a band and traveled the country, selling their CD to anyone that would listen in parking lots at Vans Warped Tour. Building a following from the roots up, one fan at a time, Mayday Parade has garnered a lifelong, massive dedicated fanbase, in their evolution from hard-working local band to global force. Delving into the musical influences that have inspired their decade-long career, the band have delivered their most refreshing, exciting, passion-driven release to date with new album Black Lines, which debuted at #1 on Billboard’s Rock Albums Chart, #1 on the Alternative Albums Chart. Melodically diverse, the collection of 12 stunning tracks blends driving rock riffs with the band’s signature heartfelt lyrics into a whole new take on their sound, without losing what is quintessentially Mayday Parade. 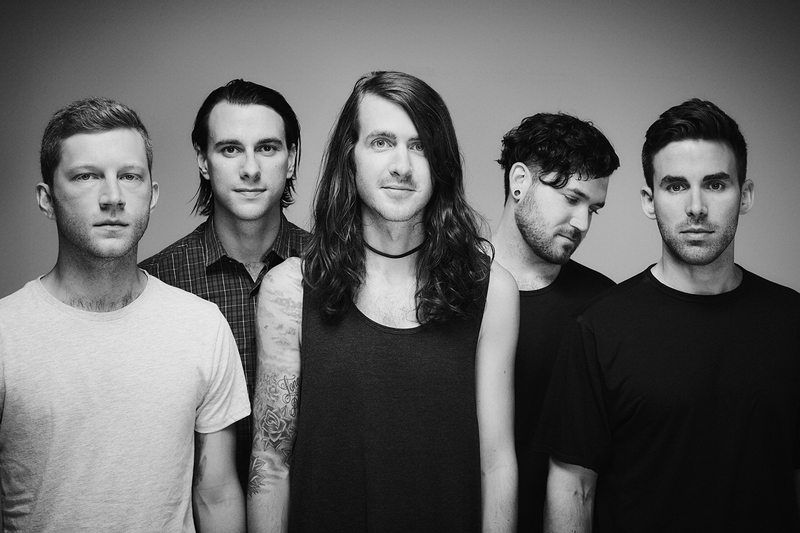 While musically raising the bar, Mayday Parade constantly reminds fans and industry alike just why they are leaders of their field. VVK: 17,- € zzgl. Geb.